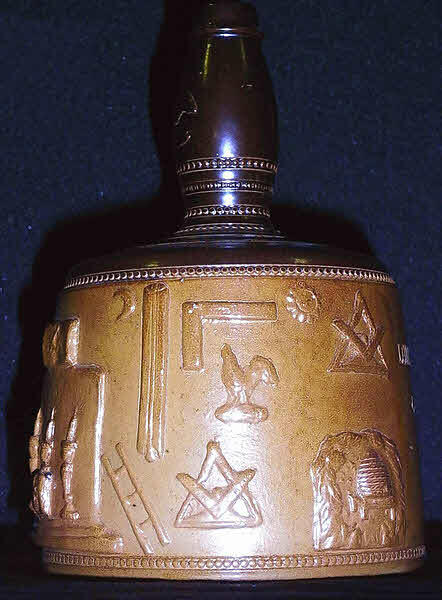 Port Dundas would appear to have started marking jugs around the same time as Doulton, ie about 1870: indeed most marked jugs copy Doulton sprigs. 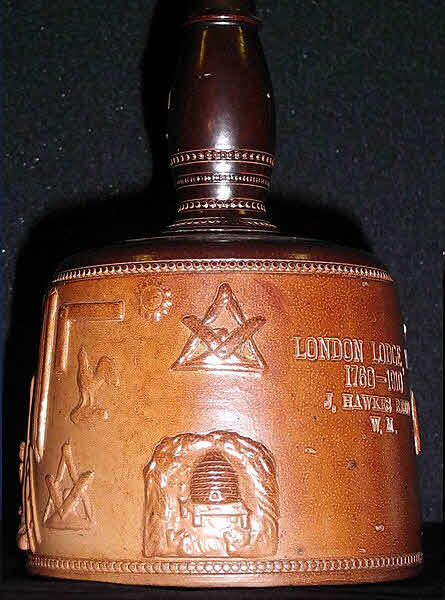 Comparison with unmarked jugs enables us to confirm many more as being from Port Dundas. 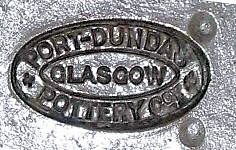 Click 'Port Dundas Marked' button to view images of marked Port Dundas items. 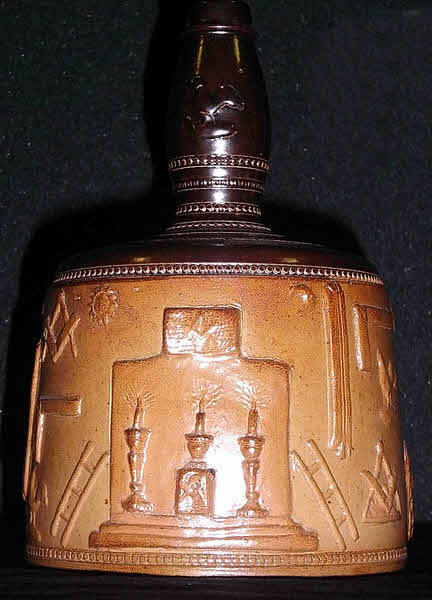 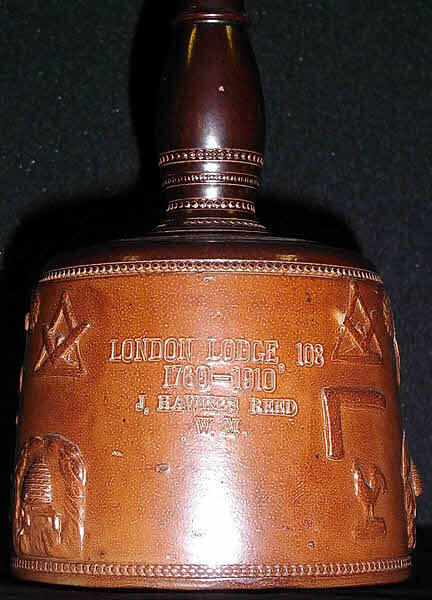 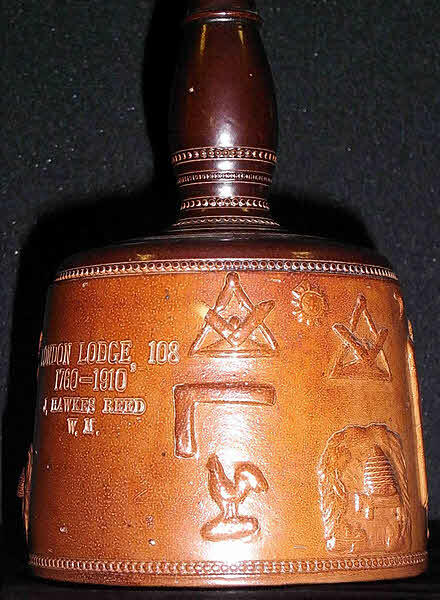 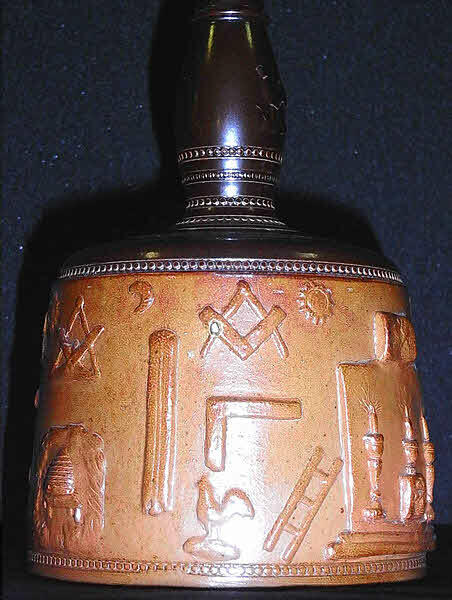 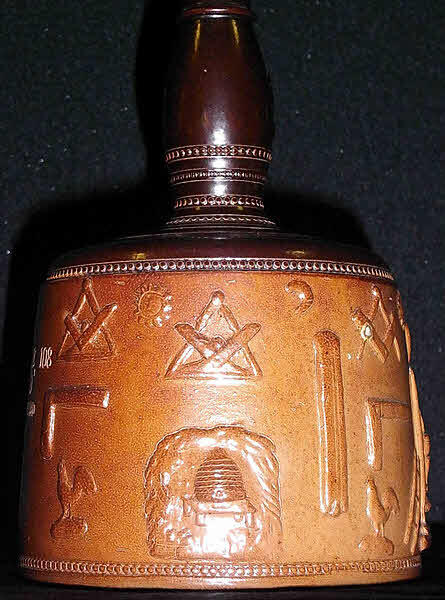 Port Dundas seems likely to have been the prime maker of saltglazed mells or mauls - mallet shaped (screw or cork stoppered) bottles usually sprigged with masonic symbols and sometimes also including topers.